Are you a student or team of students involved in an innovative project with the potential to improve the health of the community? Can you sum it up in three minutes? 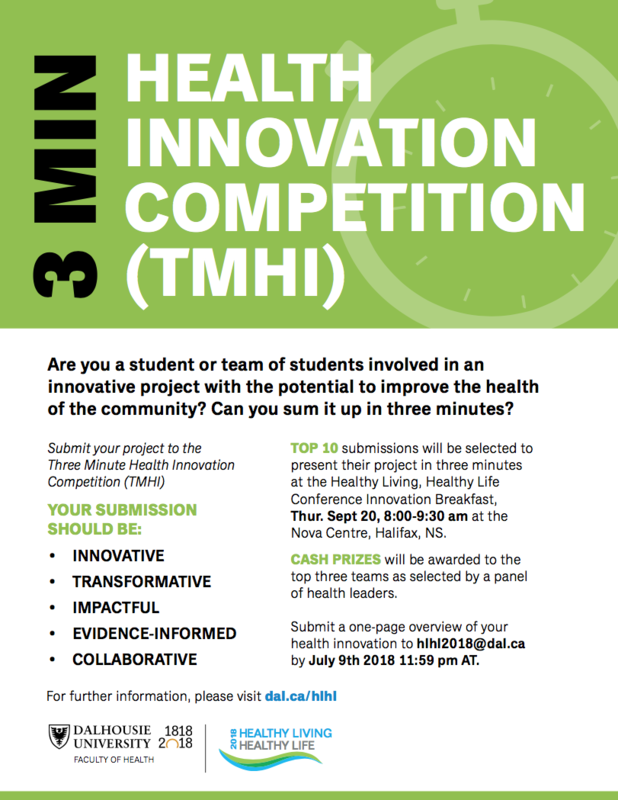 Submit your project description to the Three Minute Health Innovation Competition (TMHI)! TOP 10 submissions will be selected to present their project in three minutes at the Healthy Living, Healthy Life Conference Innovation Breakfast, Thur. Sept 20, 8:00-9:30 am at the Nova Centre, Halifax, NS. Cash prizes for top three teams! Open to students from any university. Application deadline closes soon!